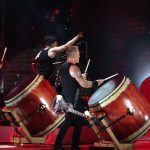 Metallica lit the Orlando sky afire with their mammoth stage production when they brought their “Hardwired…to Self-Destruct” tour to Camping World Stadium on July 5th. 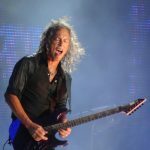 Four massive screens, seemingly a hundred foot tall, was the backdrop of a simple stage layout where the four metal horseman absolutely electrified a crowd of forty thousand plus with over two hours of pure in your face metal brilliance. 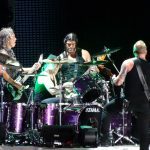 The band exploded onto the stage both in person and in sound staring off with the title track of their new release, and then rolled right into my favorite off the new disc, “Atlas Rise”, which has that exact raw, crunchy, heavy old school Metallica sound that I have been so hungry for in their music going back as far as the “Black” CD. 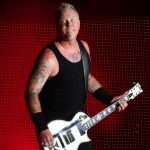 As soon as “For Whom the Bell Tolls” started the crowd was in a frenzy and mightily singing as loud as James was through the speakers, horns were raised and heads were banging. 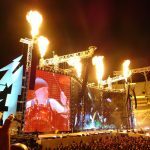 Once the band launched into “Fuel” flames shot up at least another twenty five feet into the air from all corners above the stage literally dousing the entre stadium in the light of the fire. I could feel the heat from my seats. The crowd roared and joined in on the chorus. What was really killer was near the end of their newest single “Now That We’re Dead”, each of the band members joined in on a drum circle session on these giant drums which totally had me mesmerized, eventually one by one breaking off back to their regular instruments and finishing the song out to a huge applause. 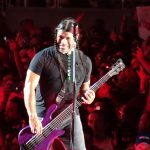 Rob’s bass solo was very moving as he included his rendition of “Anesthesia (Pulling Teeth)” while images of the late Metallica bassist Cliff Burton showed on the screens. 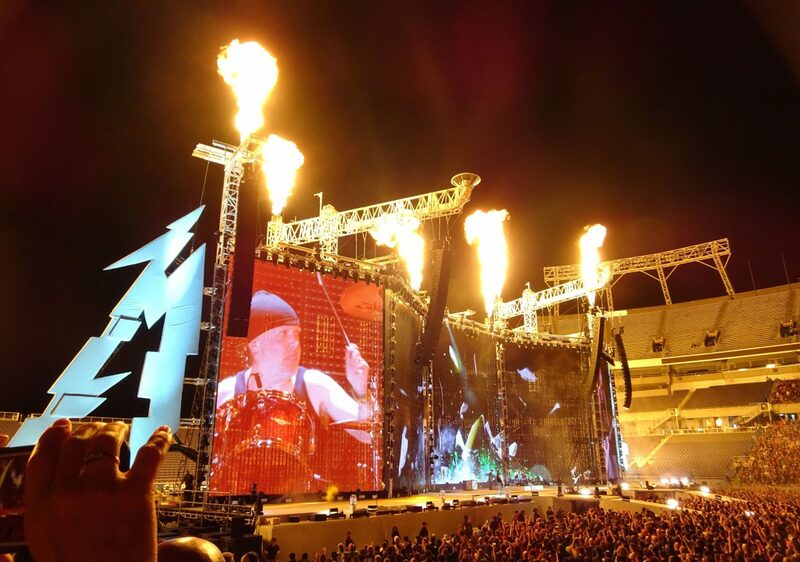 In the prelude up to “Seek and Destroy” the band revealed another drum kit out at the edge of the extended stage walking oval (which encompasses the band’s “Snakepit’ filled with lucky fan club winners who get to view the show from a perspective like no other) and the band gathered up there in close quarters and James reminisced of how this reminded them of their ‘garage days’ over three decades ago and thanked the fans for being along for the journey to what brought the band to where they are today. And then they melted our faces again both with the music and more fire. 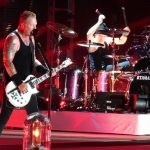 Props to the sound guys as the band sounded freaking amazing – I mean for sure Metallica has one of the best sound systems out there logic would suggest, but my gosh, for as loud as it was it was crystal clear. 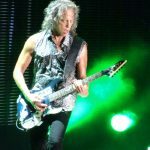 The set list mixed in five songs off of the new CD as well as many of their timeless masterpieces to where I cannot imagine anyone left that show disappointed. 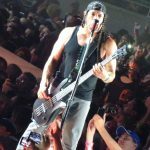 Also “Halo on Fire” had been my least favorite track off of the new disc, but after seeing and hearing it live has given me a new appreciation for the song.